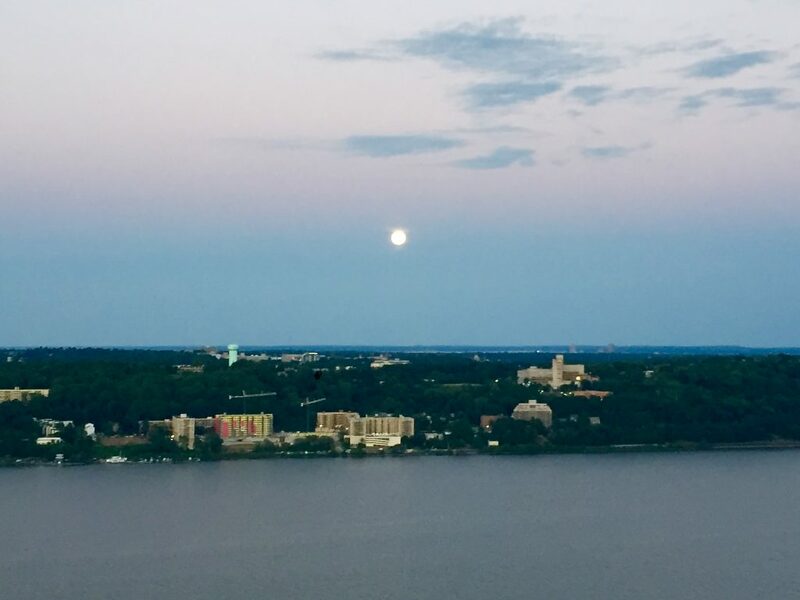 This week’s training highlights included an exciting trail run on the evening of this month’s full moon, which turned out to be a bit more perilous than one would have imagined. Dark, challenging, exhilarating and now I can add dangerous to the equation. I had another full week of wedding planning that took over a good chunk of my time, but I was able to slip in a girl’s night out and a nice gathering at a friend’s house. 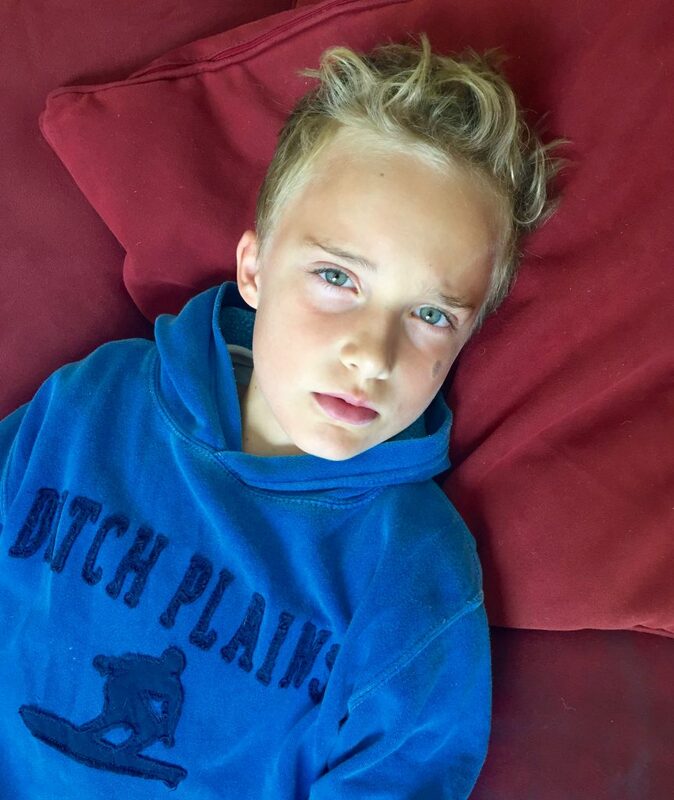 Unfortunately, one of my little guys got sick. Then the inevitable happened in a house with 4 children… Kid 3 passed it to Kid 2 and I am hoping Kid 2 doesn’t pass it along to the rest of the gang. 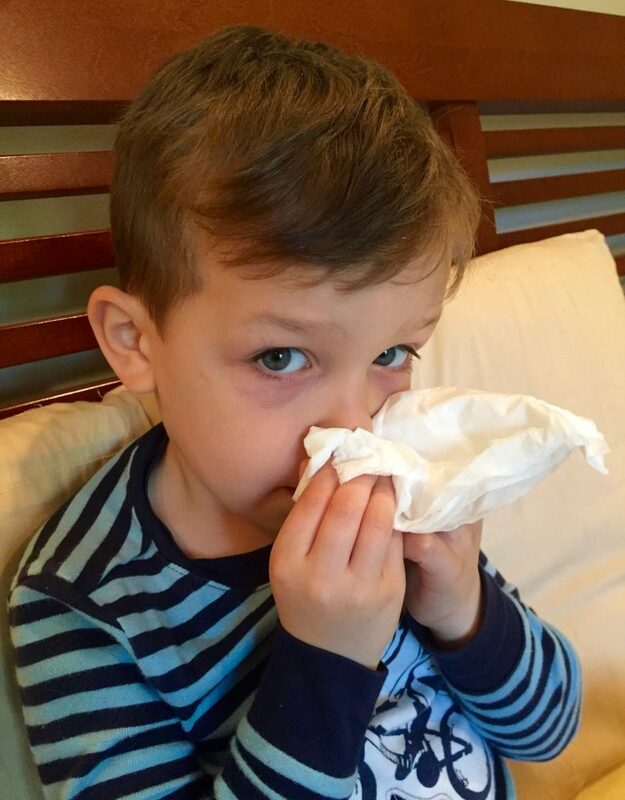 I have a great post on Top Natural Remedies for 5 Common Sickness that works wonders on curing and preventing illnesses. 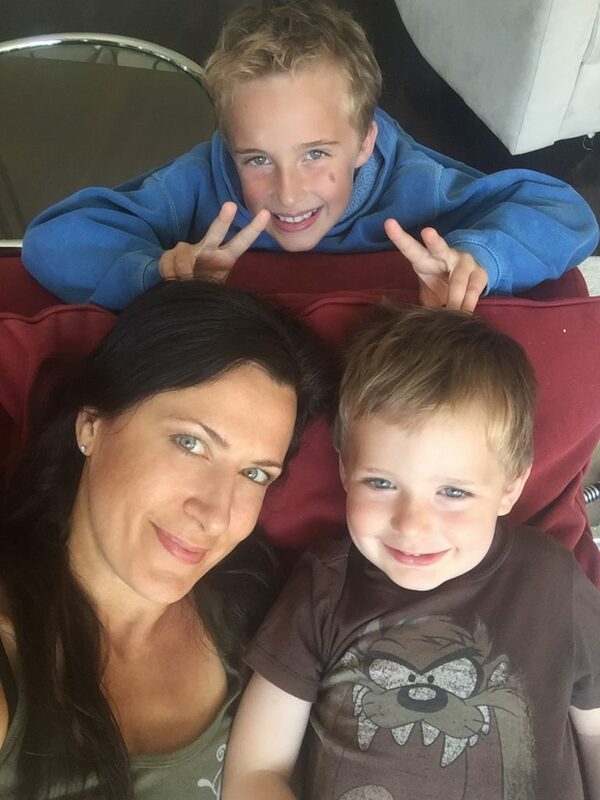 My favorite part of this weekend had to be cuddle time with my boys… a much needed family break. 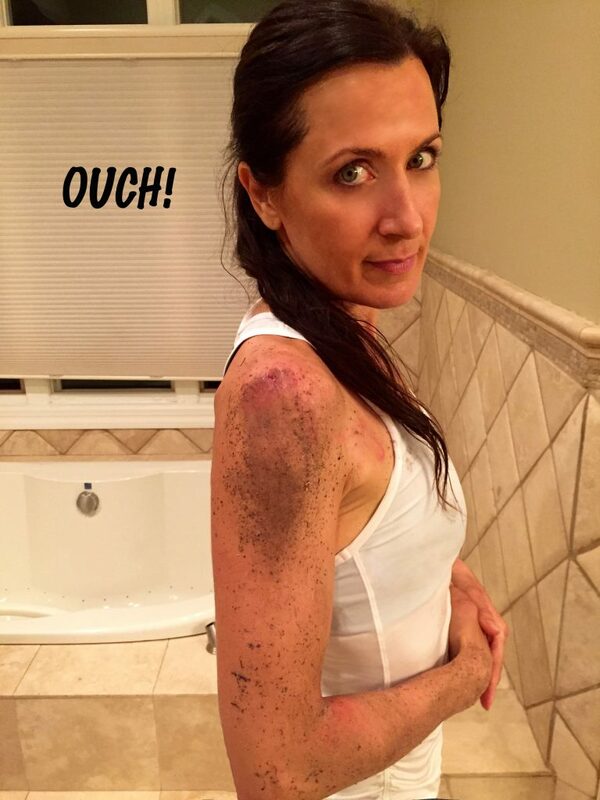 So far, I am healthy and feeling good despite the accident that took place on one of my runs. I not only like to spice things up in my life, I like to feel a rush during my workouts as well. 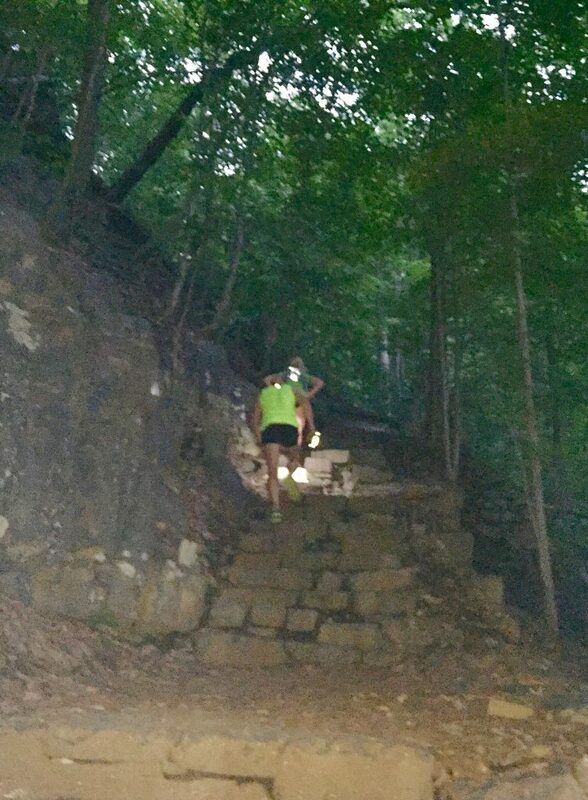 I incorporated a night trail run a few months back into my weekly routine that gets my heart pounding. The stillness of the dark forest and the unknown that lies ahead really keeps me on my toes. Well, it did not work out too well for me this Tuesday. I took my first real spill! 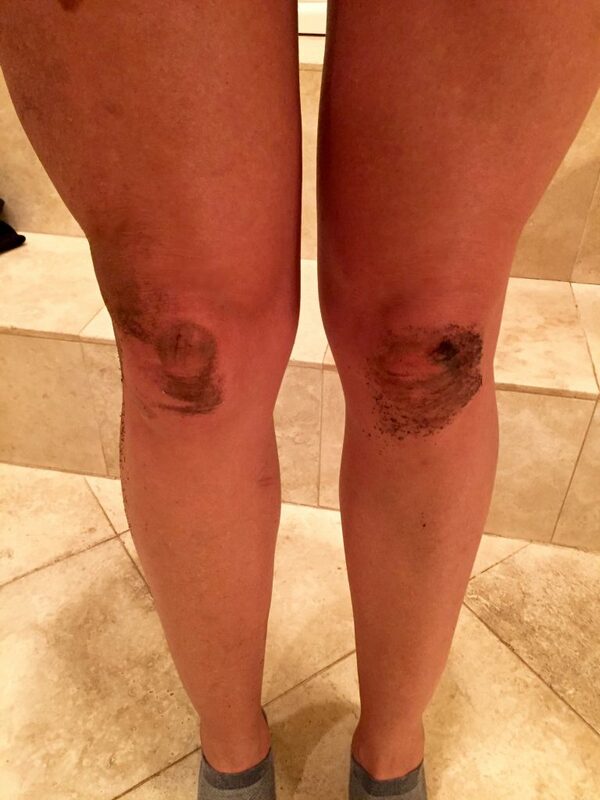 The trail was a bit technical and the terrain was challenging and before I knew it, I took a massive face plant onto the jagged forest surface. After the stars cleared, I realized I fell and quickly popped up and continued the run. My jaw felt like I was in the rink with Mohammad Ali! Luckily, the scrapes are on my shoulders and knees and not my precious face. The fall did not effect my training, just a little discomfort here and there, but it is manageable. I was just happy my shoulder did not dislocate since I have a 3rd degree labral tear. Now I have to figure out if I should stop the night runs. 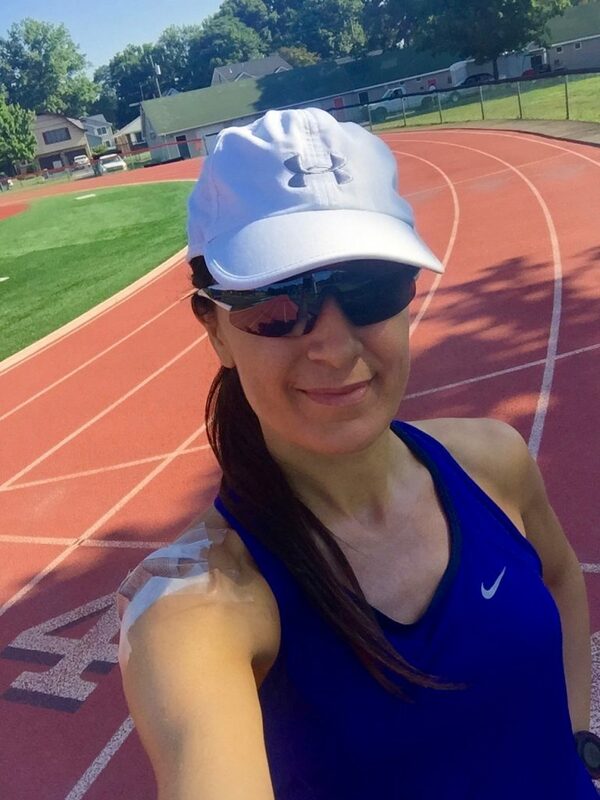 I wrote a great inspirational post about running called Who is she… I poetically expressed my love for running under different conditions, the challenges that each run offers and how I overcome them. I am not only a runner that cooks! There’s more to me than just these legs and my food. Despite the active week it is important for me to make time for my runs. I am still not managing to get out early enough which I think may be taking a toll on my ability to complete certain runs at an optimal speed. Also, finding the right amount of sleep to allow my body to properly recovery may improve my performance. Since I am building up my miles, I definitely will need to get some extra zzz. Extremely hot day. I tried to beat the thunderstorm and I sprinted the last mile too fast for an easy run… 7:38 pace. I beat the storm! I had to cut the class short about 45 minutes into it. My knee is better. No hip hop class today since I am running a technical trail tonight. I ran on this trail during the day but it makes a big difference running it at night. 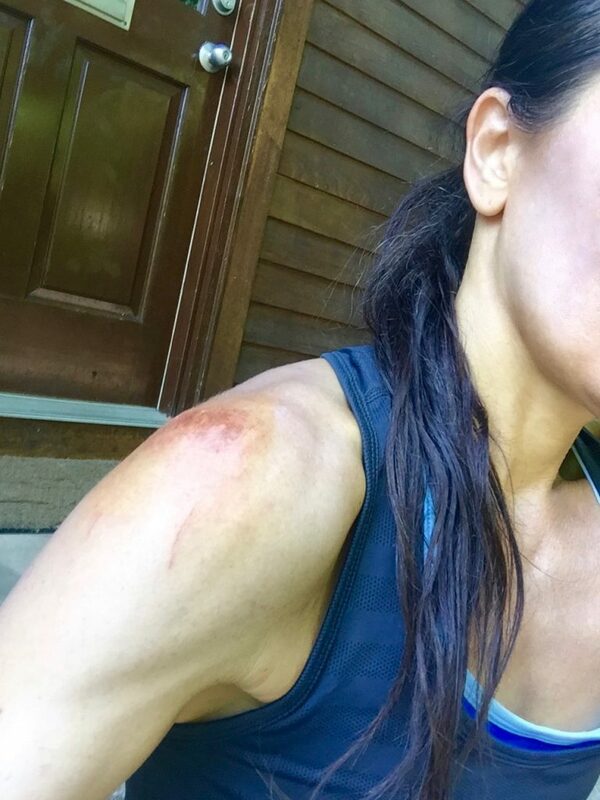 Everything was going well until I took a nasty spill around mile 4. First fall ever!!! I tried to take it easy to see if there was any serious damage after my fall last night. My left ankle hurt a little and my knee felt a little off. I decided to push through since I didn’t think there was serious damage. 1 mile warm up and then 4 x 1200 meters (6:30 – 6:40 pace) walk 100 meters and then jog 300 meters as recovery in between repeats. 1 mile cool down. I started too late again. It was pretty hot and I didn’t do well today. A very slow and easy pace run. I had a lot to do and Kid 3 was sick so I ran midday in 90 degree weather. Luckily it was an easy run. 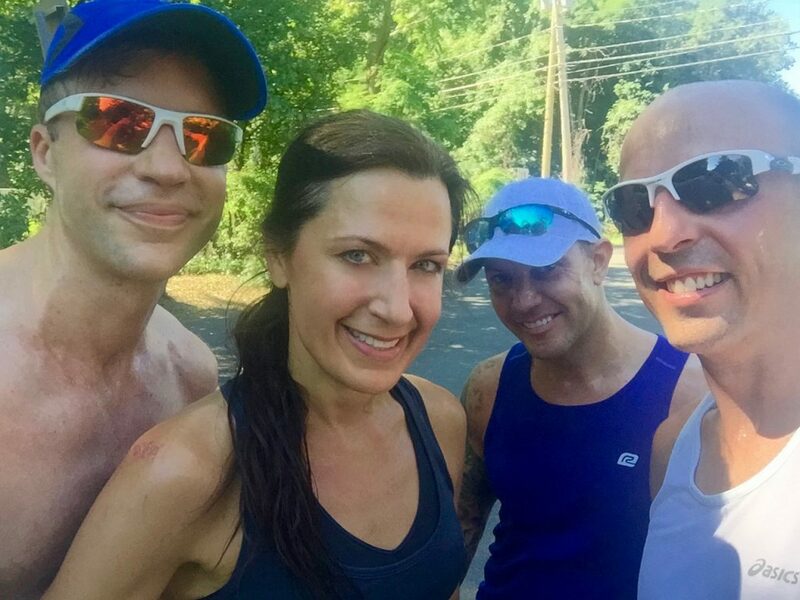 It was a hot morning and I ran with my running friends who happen to run sub 3:00 hour marathons. Their idea of a slow run does not quit match up with mine. I saw my hubby and we ran the last few miles together. Since it was so hot out today I did not do much after the run. Definitely took it easy today since my children are sick and it was extremely hot out. OVERVIEW: I have to decide whether I should continue the night trail runs since there is a risk I may get injured. I do not want anything to jeopardize my training. I also have to see if I am getting enough sleep or if it is the heat effecting my speed runs on Thursdays. 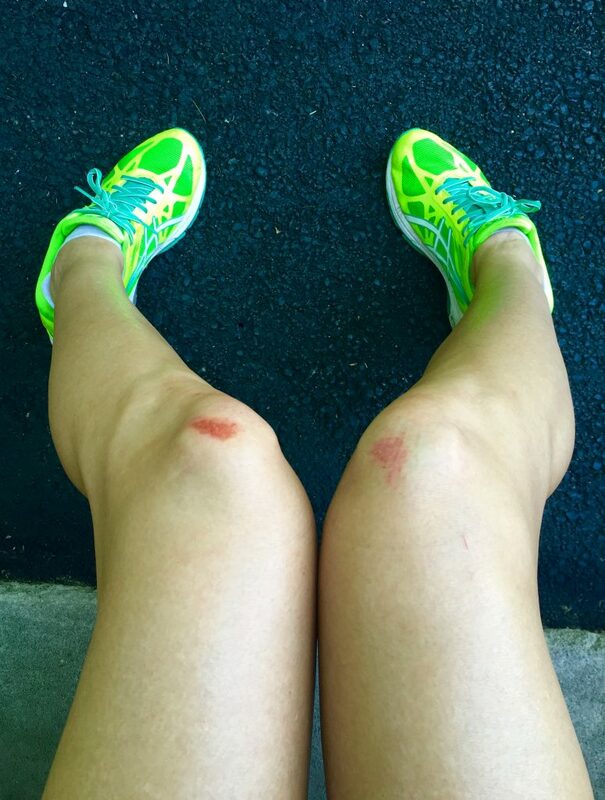 Did you ever fall while running? Do you recommend I continue running on trails at night? Did you ever run in the dark? Running in the dark, given your fall, calls for it to be reconsidered. I understand the thrill factor, the adrenaline factor – but, think about it, can you afford the risk of another fall? You have a house-full of responsibility at home after every run. Young lives counting on you to be of able body, being healthy and strong – which you are. But the night running throws your training into a whole other risky area which, you must admit, is completely voluntary. I think that if you were to experience a serious mishap or injury during a night run, you would regret it, because it was..unnecessary. Do whatever is necessary to achieve your fitness goals and maintain your identity in your family. Night running, while it may be exciting, could jeopardize both. I think you are right. Thanks for the advice! I’m too scared to run in the dark! I love to see your training though. It’s not that bad. I like the thrill … lol. Thanks for following my training program! Love that you’re back on track after your fall! Thanks! Luckily it was just a surface wound! Your children are so beautiful. 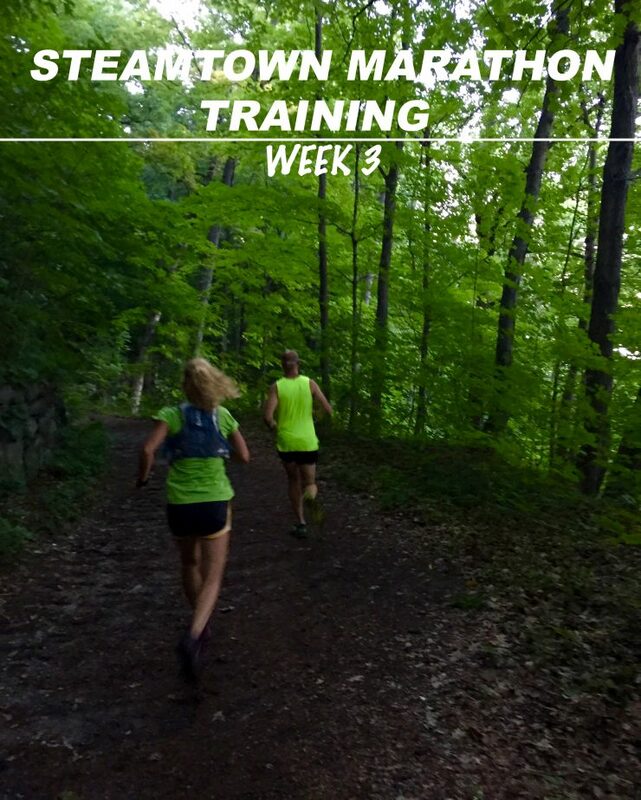 We recommend 18-weeks of training if you ve been running fairly consistently but are not in great race shape when starting the plan. 15-weeks is better if you re in good racing shape and you ve already been doing some quality workouts. Sometimes the longer the training plan the more risk of overtraining. We always talk about the time improvements our clients make but one consistent theme we re getting in our feedback is how our clients seem less likely to hit the marathon wall late in the race. Many have reported how surprisingly they felt good late in the race and that s partially a product of not overtraining. Our first priority is getting people to the line injury free, so we take pride in the fact that they re enjoying the process and feeling good about the experience, not just getting faster. That s important. Sounds great! Thank you for the information. 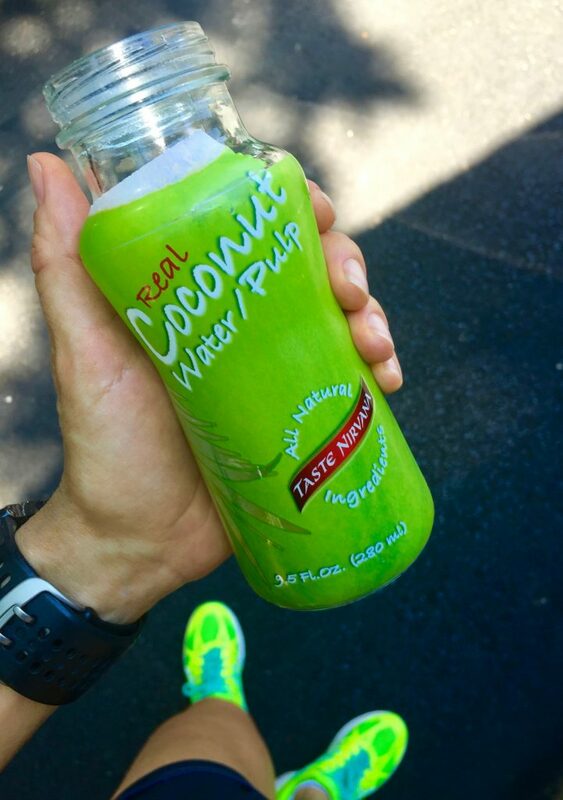 Subscribe to get FREE tips on health, running and yummy recipes! 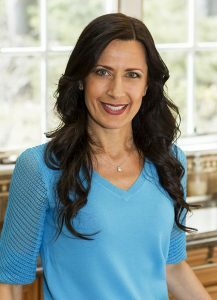 Hey there, I'm Gabrielle, a not so perfect mother to 4 boys who is doing her best to cook organic and live a healthy, clean lifestyle all while training for marathons. I created this blog in hopes to share my culinary experience, while motivating you to push yourself to the limit, help you live clean and laugh along the way. Copyright © 2019 RunCookLaugh All Rights Reserved.